The 1x1 Trestles are versatile and multifunctional with simple yet playful characteristics. They can be used in many different ways to support table tops that have different material/colour finishes on both sides. Also a single trestle can function as a side table or a coffee table. 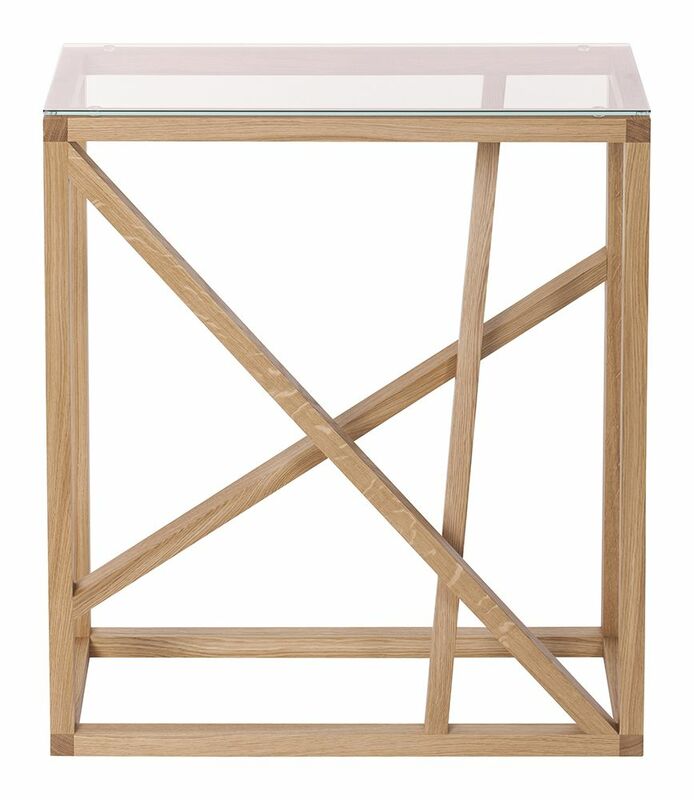 The 1x1 Trestle Console table finished in clear oak 5% gloss lacquer with a glass top.